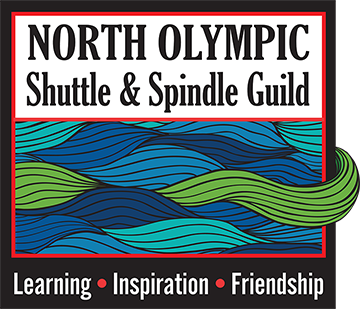 The North Olympic Shuttle & Spindle Guild shares learning and fellowship of the Fiber Arts through “show and tell” monthly meetings, study groups, workshops, programs, trips, educational exhibits and demonstrations to the community. You can find all the information about what's going on with us and the local fiber community in our newsletter Threads & Thrums. Information in this NOSSG newsletter may not be duplicated in any manner without the NOSSG’S written permission. This includes but is not limited to photos, artwork, advertisements or printed text.